Design promoting an ethic of stewardship and reuse. 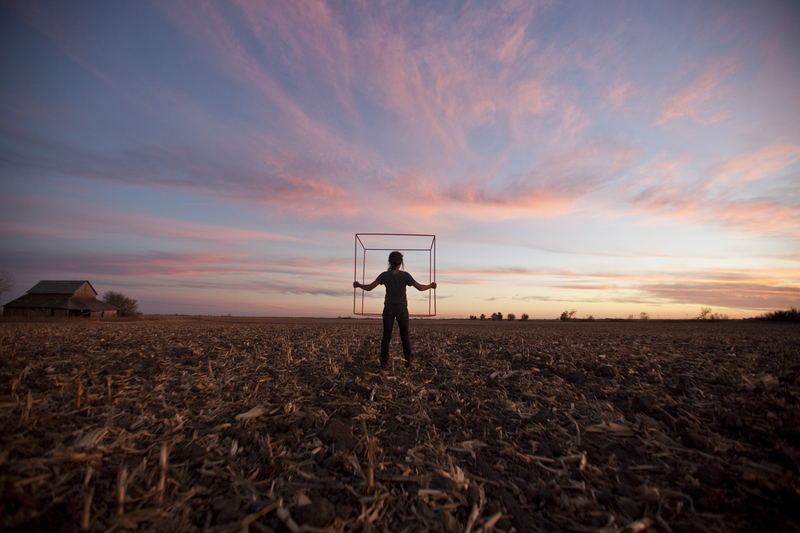 Founded by Ed Dadey, Art Farm is a non-profit art residency program situated on a forty acre working farm in Marquette, Nebraska. The site currently includes a large, informal sculpture “Art Pasture,” and approximately fifteen separate standing and salvaged buildings. 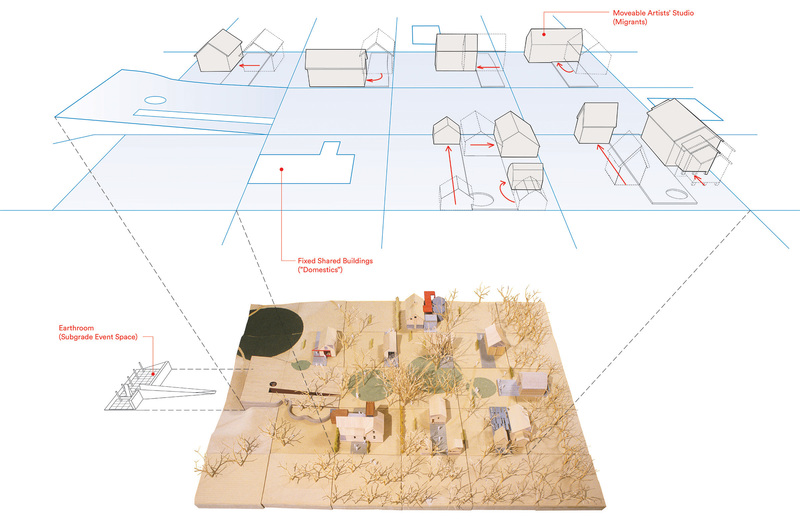 Beginning in 2003, FACT + Actual Architecture Co. designed an organizational system that can accommodate and structure the development of Art Farm over the next decades. 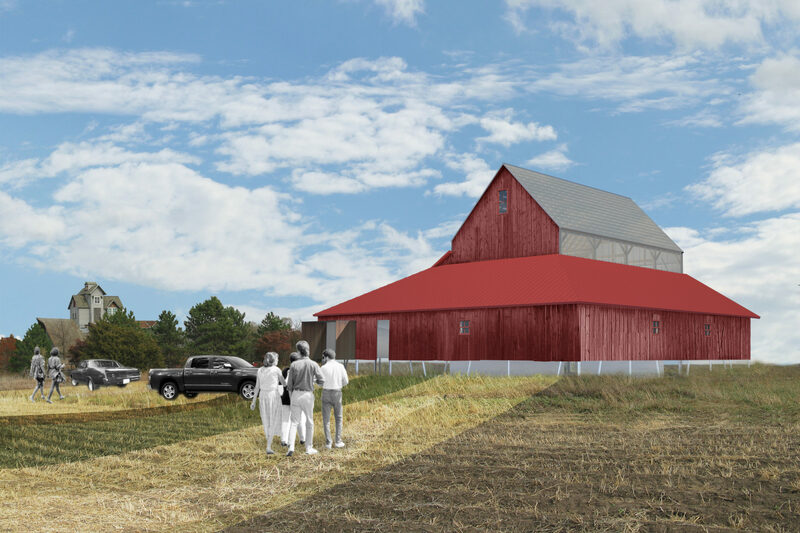 While we are actively designing and modifying several buildings on the property (see Red Barn Gallery and Art Farm @ Sheldon), the very nature of Art Farm suggests that much of the work that follows will be the product of the improvisations of multiple participants. At the core of the project is an ethic of stewardship and reuse. 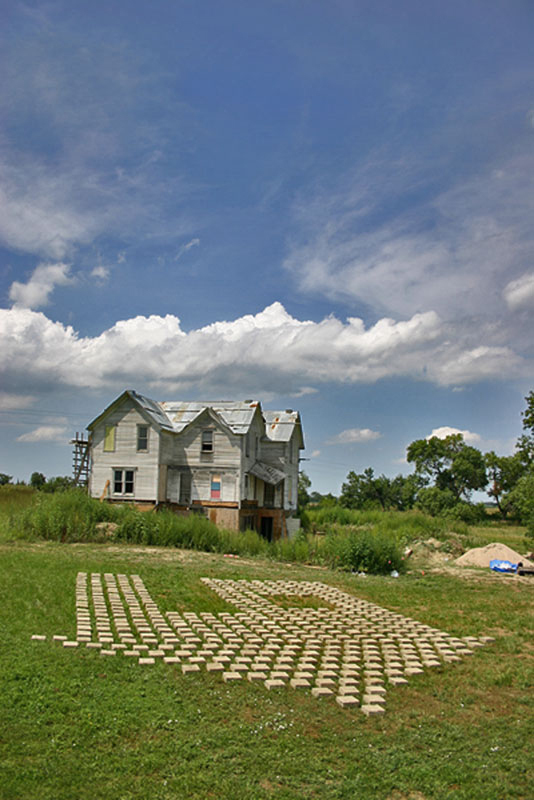 Salvaged buildings become sites for art practice and creative explorations of possible rural futures. 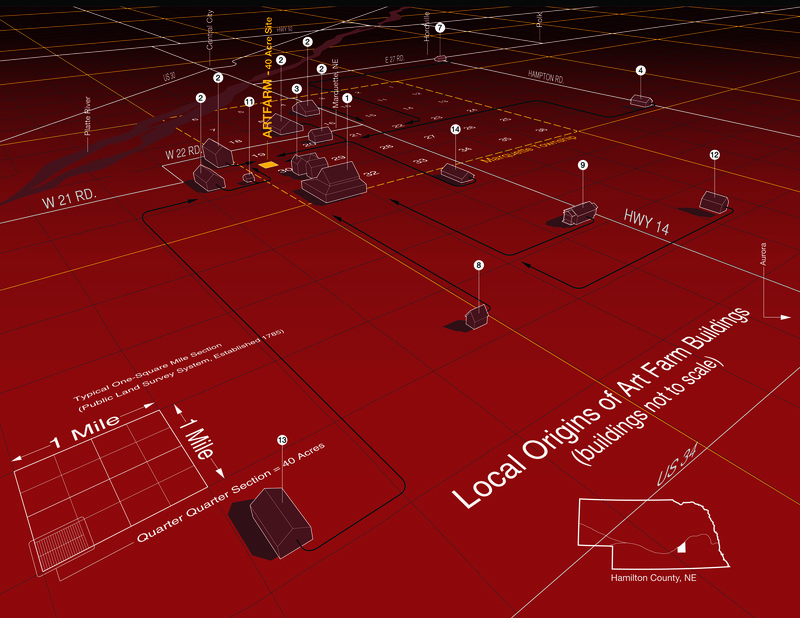 A collaboration with Actual Architecture Co. (Min | Day) and resident artists at Art Farm. 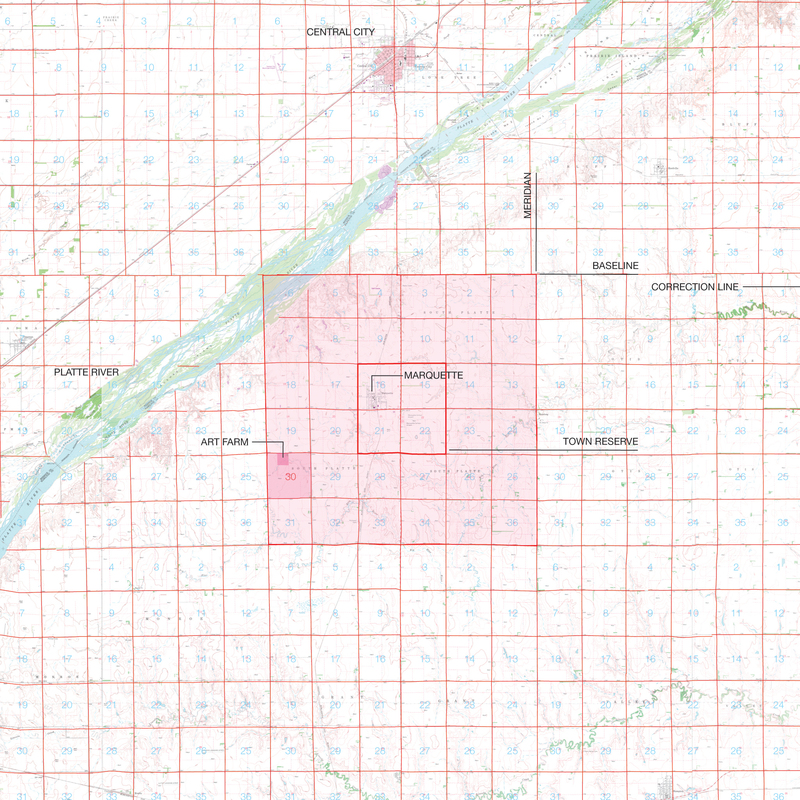 The section lines of Jefferson Grid surrounding Marquette, Nebraska. 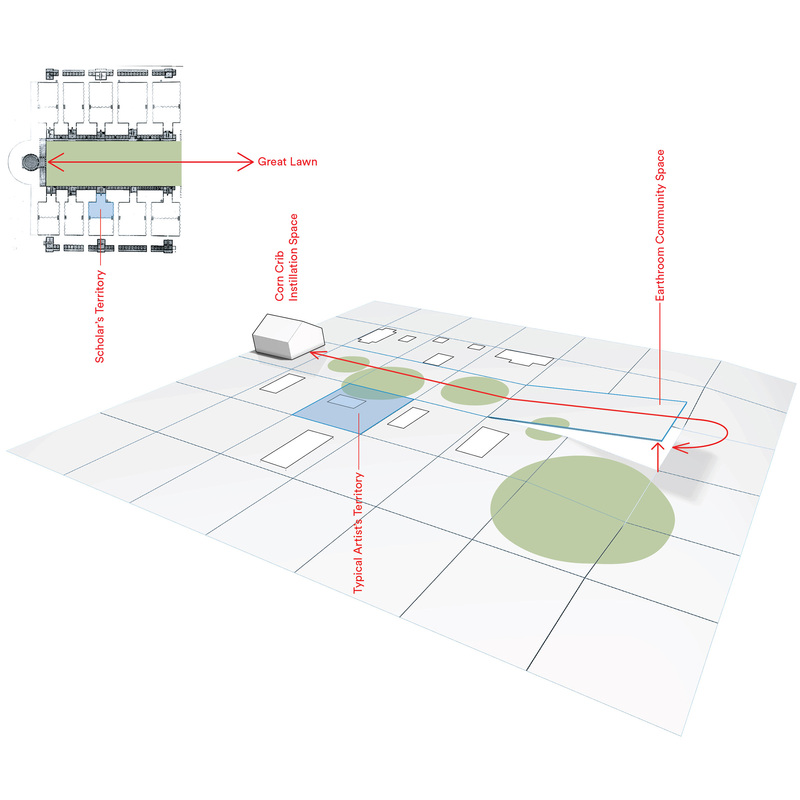 After an initial survey of the landscape and existing buildings, and a detailed programmatic study, we proposed an organizational net over the site. 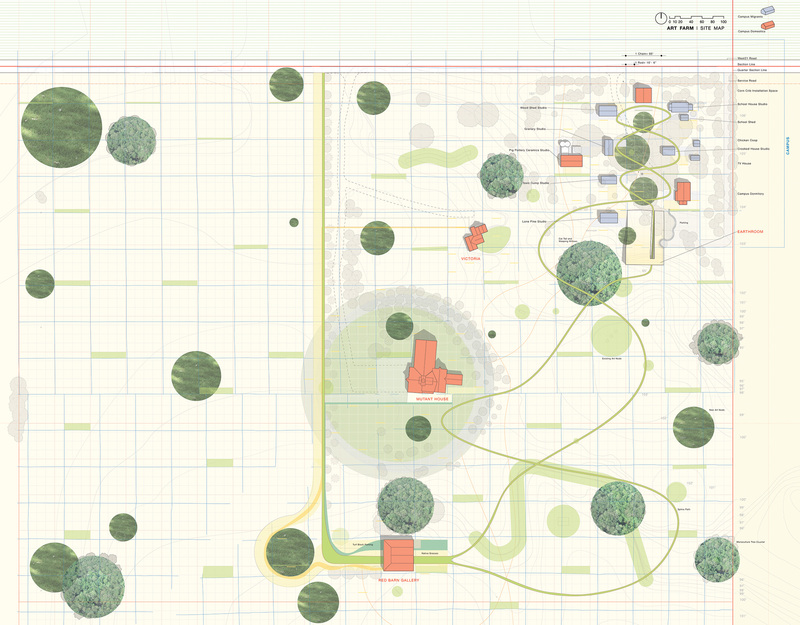 Derived from the local section lines, this grid creates a miniaturized facsimile of the Jeffersonian landscape that surrounds Art Farm. We derived the grid by rescaling the surrounding map by a factor originating in the pole (rod), the chain, and the furlong - the original dimensions used to layout acreage. What became apparent in this process was the high degree of specificity that the supposedly generic grid actually possesses. 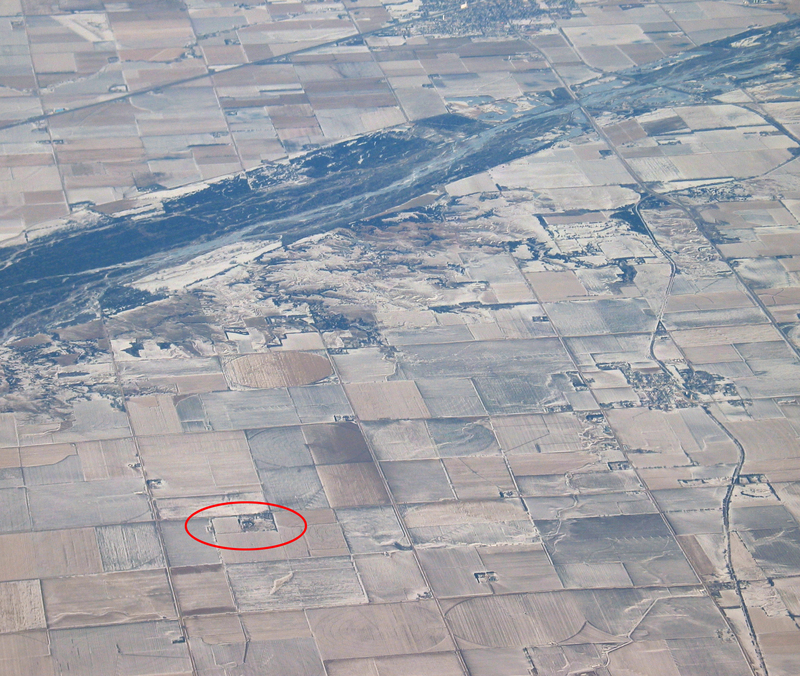 Owing to the imprecision of nineteenth-century surveying techniques, the local section lines are not at all square. Noting these circumstances, one recognizes the very physical and non-arbitrary facts buried deep within what have become generic standards. As with all systems of order, the form outlives its practical origin. At Art Farm, we wish to give these units new meaning by accentuating their innate specificity. 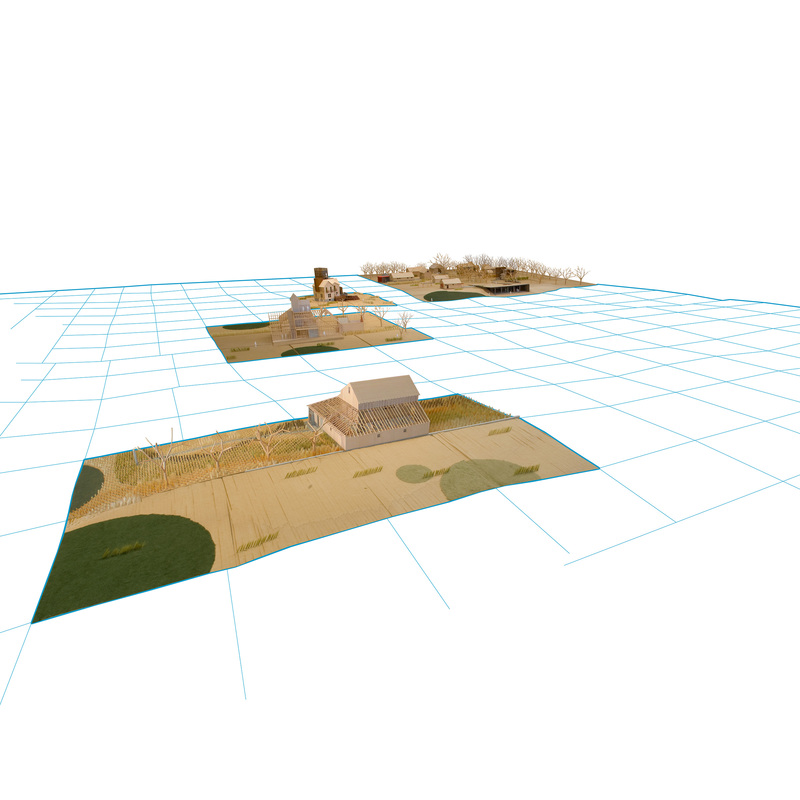 Art Farm framework plan with miniaturized grid. 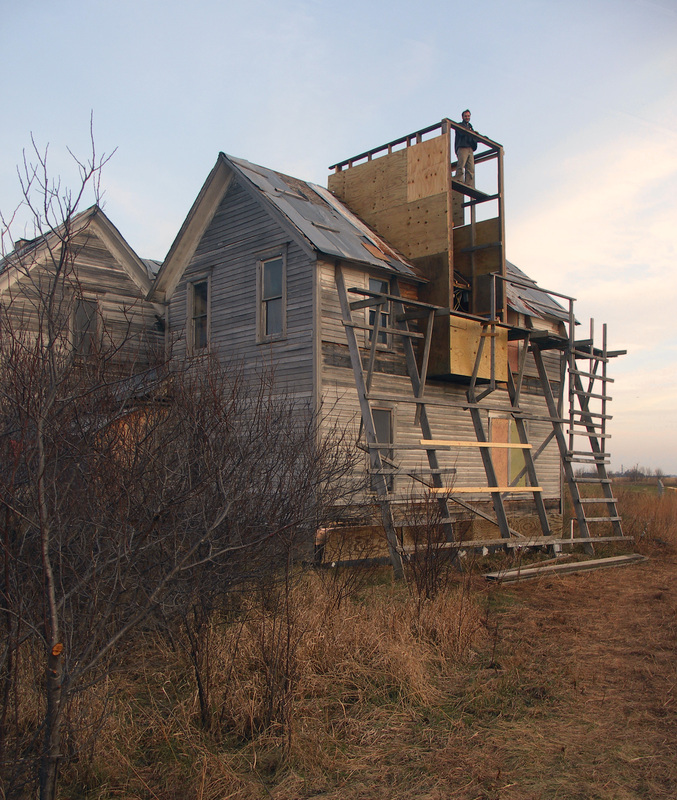 Central to Art Farm is a goal to salvage and re-purpose farm structures from the surrounding prairie. More than just buildings moved – with each barn came a story: one farmer might recall how once during the 1930’s locusts devoured nearly everything – including all the paint on one barn; a second farmer might point to the areas on another barn he repaired after damage from lightning strikes. The barns are from 60 to 100+ years old and within their structure they tell a visual story of an owner’s attempts to adapt with the changing times. 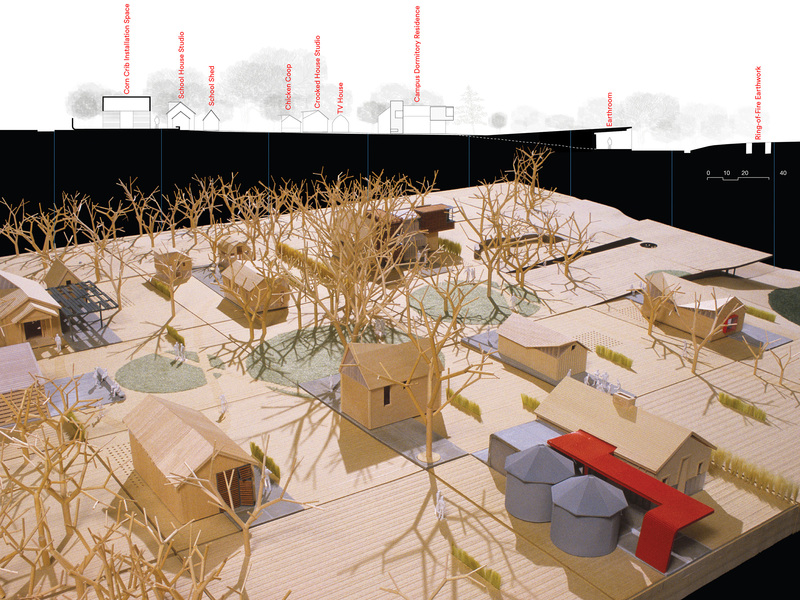 This is vernacular architecture based on oral tradition and observation. Prairie barn builders adapted a plan and a shape from a general concept and then individually modified it to serve their particular needs. In that tradition, the work at Art Farm of pragmatically restoring, repairing, and converting barns for studio space continues to this day. Art Farm takes the pragmatism of the Midwest farmer and turns it on its head to create a vibrant new landscape for art from the post-agricultural plains. 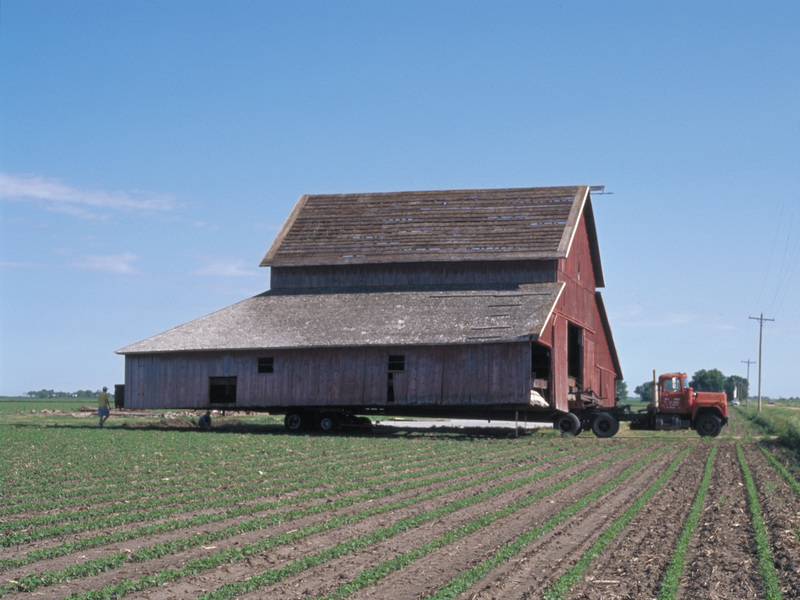 Regional origins of farm buildings moved to Art Farm since the 1970s. 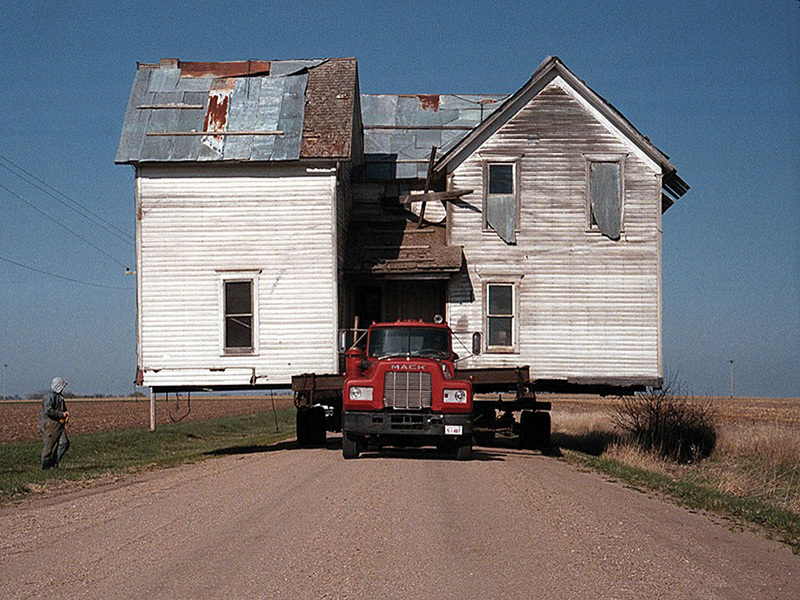 Moving "Victoria", a farmhouse to be repurposed for artist housing. 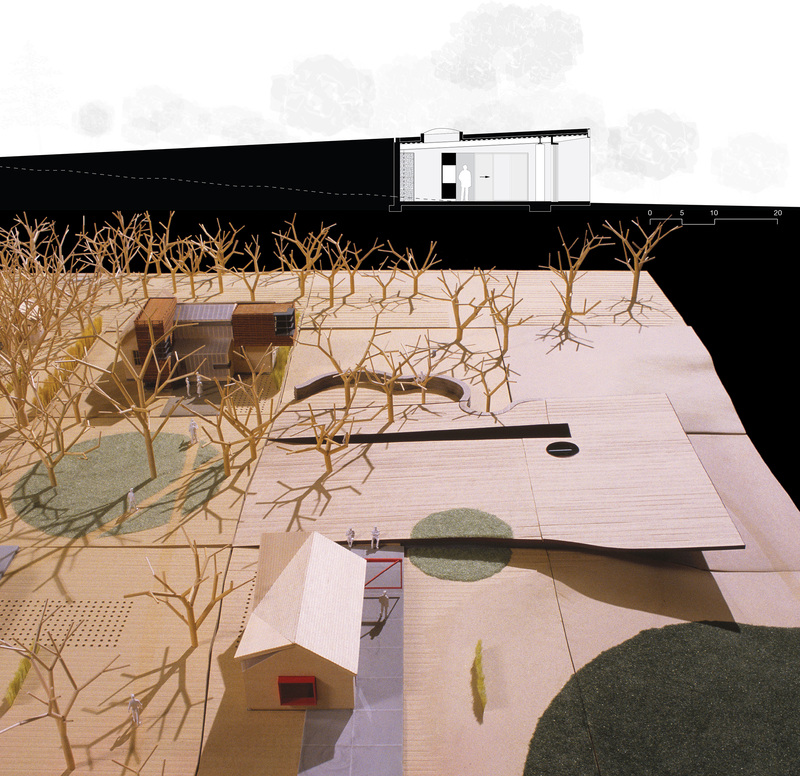 The "Campus", a collection of fixed and movable structures for artists' dwelling and working. Campus modeled on Thomas Jefferson's Academical Village at the University of Virginia. 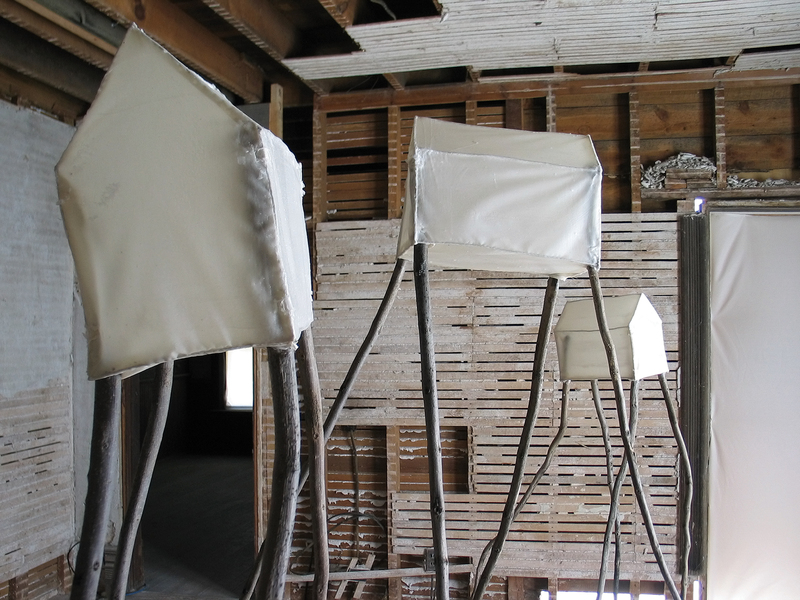 Victoria House construction; installation by Beili Liu. Art work by Amanda Thatch and (unknown). 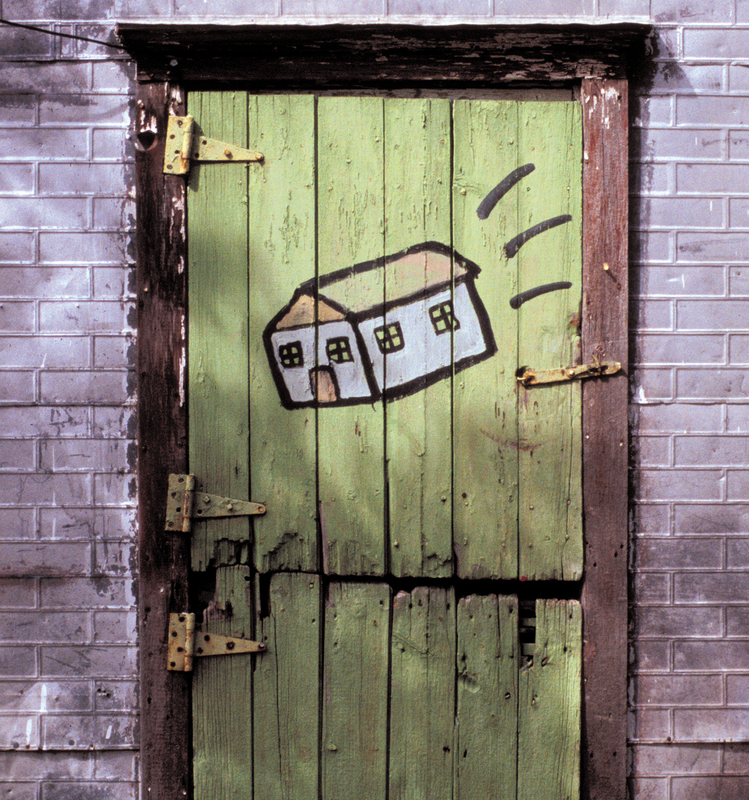 Art Farm’s physical presence is in its buildings and land. More elusive to describe is the ambiance—the subtle influence of the environment’s impact on time and space. The sun and stars measure your time, not clock and calendar. Space is shaped by proximity to sound and silence. The sky: your eyes: your ears will fill with the sound and shapes of an incredible number of birds and bugs. And, like it or not, the weather will be your collaborator in all undertakings.